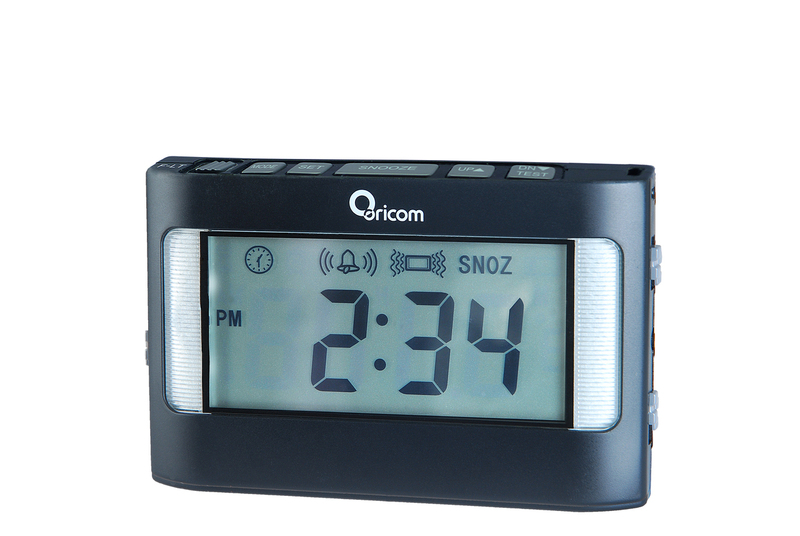 The Oricom VAC500 – Portable Vibrating Alarm Clock is ideal for home or whilst travelling. 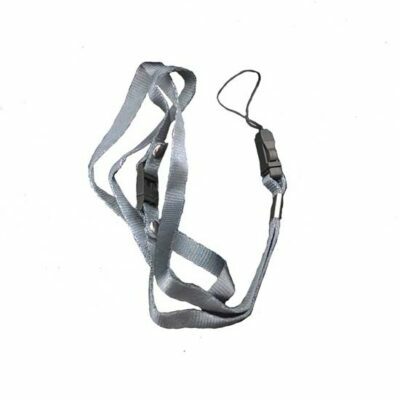 The alarm and vibrating function are sure to wake even the heaviest sleeper. 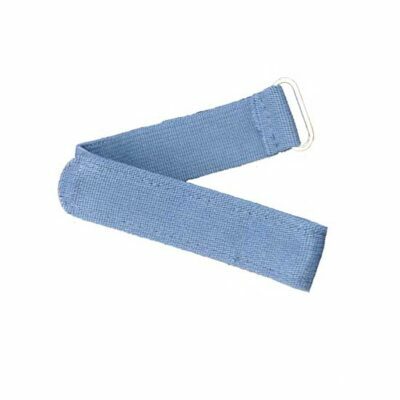 Perfect for shift workers, those who are hard of hearing and heavy sleepers. Q. How do I install the battery? A. Install three AA alkaline batteries (not included). Please observe correct battery polarity while installing. A set of brand new alkaline batteries will last about six to eight months of normal usage. Please replace batteries if you notice the shaker is weak or if the backlight is dim. Q. How do I set the time? 3. Press UP or DN to set the Hour, press SET to select. Repeat these steps to set Minute. Q. How do I set the alarm? 2. Press UP or DN to set the alarm hour, press SET to select. Repeat these steps to set Minute. 3. While SNOZ is ¬ashing, press SET to turn on the snooze function or press UP to turn it off. 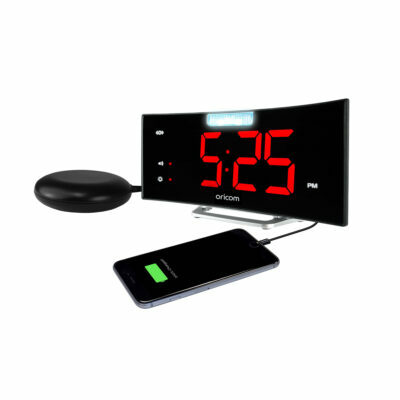 It will automatically return to the normal clock mode after about 5 seconds. 4. If SNOOZE function is on — when the alarm sounds, the alarm will continue for 40 seconds and then stop. If the SNOOZE button is pushed any time while the alarm is sounding, the alarm will stop immediately but it will sound again in eight minutes. You can repeat this cycle for up to seven times. To stop the alarm completely any time, press any button other than the SNOOZE button on top of the clock. 5. If SNOOZE function is off — when the alarm sounds, pressing the SNOOZE button will stop the alarm completely. Q. How do I test the alarm setting? A. 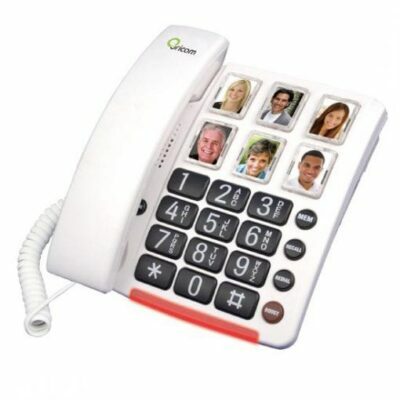 Press and hold TEST for 3 seconds, the alarm is triggered for a period of 10 seconds and then returns to the clock mode. Q. 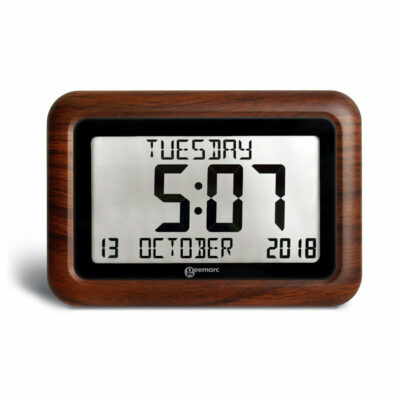 Can I use the clock as a timer? A. 1. Press MODE to go to the Timer mode, press and hold SET for 2 seconds to select. 2. Press UP or DN to set the desired hour setting, press SET to select. Repeat these steps to set the desired minute setting. 4. 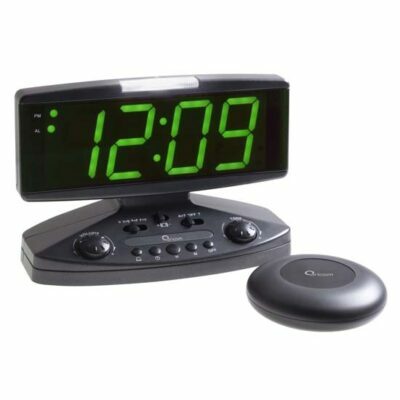 When the set time expires, the alarm will sound-off (same alarm mode as the alarm clock setting) for 30 seconds (unless stopped by pressing any of the top keys). Q. How do I show the room temperature? A. 1. Press MODE to go to the Thermometer mode, the room temperature appears. 2. If needed, press UP to set reading in C or F. 3. Press MODE to return to the clock mode.